What message do you want to share with your friends, your family and to all of those willing to listen? I have a very hectic weekend ahead so I wanted to leave you with something that I found so very fascinating. If you are anywhere in my age range (33 years old) or slightly younger or older you will remember the image on the left. This haunting image was on the front of National Geographic in 1985 and has floated around in various media sources ever since. Theimage on the right is the same girl all grown up. I have inserted the piece I found regarding these photos and I found it to be so very interesting. I speak of these different places in the world in which people live under horrific circumstances. I speak of them but I am unable to imagine ever being a part of a world like that. People question why I expose myself to readings and images that depict such horrific poverty and violence and I tell people that I have to. I have to in order to remember all that I am thankful for and because I was not born to be happily ignorant. Awareness is necessary in order to help make situations any better (if only a little bit). I am unable to turn my head and act as if these things do not exist because they are not happening to me personally. People will always say that we have plenty of violence and wrongdoings and the need for assistance in this country, why would you focus on other countries. I am happy to be an American and I feel lucky that we do not have the violence and war on our soil that other countries do but as long as I have air in my lungs I do not belong to anyone….I am not owned by the United States just because I live here. I belong to the world. It may sound silly to some but I view all people as equals regardless of differences. I cannot just focus in only one area when there are millions of opportunities to learn from people and places far outside of my reach. 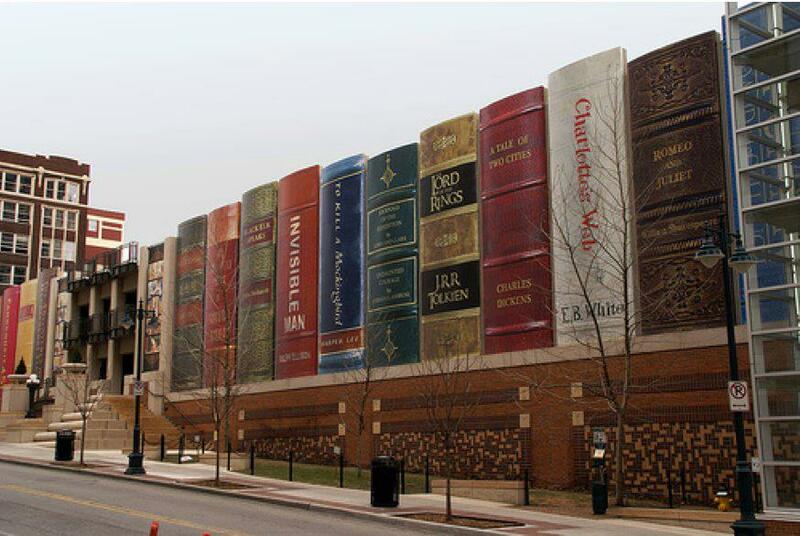 I leave you hear with stories in images in hopes that you will seek more knowledge yourself. Even the most violent of images can be beautiful when they are acknowledged. Now that Osama bin Laden is at the bottom of the ocean, a new man has emerged as the world’s most dangerous terrorist: Qassem Suleimani. Although unfamiliar to most in the West, he is responsible for killing many thousands in cold blood – and masterminding the murder of more Americans than any other person on earth. 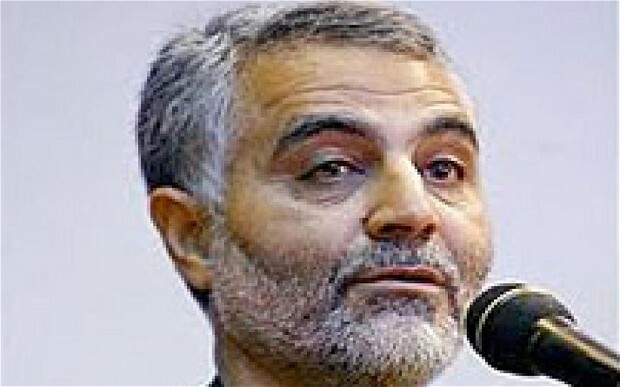 Suleimani heads the Quds Force of Iran’s Revolutionary Guard – the nerve centre of its global terrorist network. Working with Hizbollah in Lebanon, he has plotted, attempted and executed mass murder in dozens of countries. The centrifuges spinning in Iran are dangerously close to providing these ruthless global terrorists with a nuclear arsenal and protective umbrella. Yet instead of pulling out all the stops to prevent this, Europe is opening its own backyard as a playground. In particular, the European Union continues to define Hizbollah as a charitable and political group, not a terrorist organisation. This is no less ridiculous than describing the Mafia as a chamber of commerce or the Ku Klux Klan as a gentleman’s social club. Tangible evidence? Iran and Hizbollah have slaughtered scores of men, women and children in bombings from Argentina to Saudi Arabia to Bulgaria. They have ruthlessly targeted US servicemen, killing hundreds in direct attacks – such as the bombing of a marine barracks in Lebanon in 1983 – and many more through proxies in Iraq and Afghanistan. Suleimani and Hizbollah’s head, Hassan Nasrallah, continue to take extended vacations to Syria, where they serve on Bashar al-Assad’s Advisory Board, telling him how to butcher his people more effectively – and directing their own forces in the murder of Syrian civilians. The plots extend all the way to Washington, where their operatives recently planned to murder the Saudi ambassador at a restaurant frequented by members of Congress. While the EU does somersaults trying to explain its position, Hizbollah’s leaders have no illusions about the importance of maintaining this fertile ground. By using and abusing European democratic processes, courts and civil society, they have a base to launder their drug profits from around the world – and a perch to win over vulnerable Europeans to poisonous extremism. Nasrallah recently admitted that being on the European terrorist list would “destroy Hizbollah”, drying up sources of financial, political and moral support. You only have to look across the Atlantic to see how such a policy could yield dramatic results. Recently, US prosecutors announced that they had seized $150 million of Hizbollah’s cash – nearly half of its estimated annual budget. Imagine the impact the EU could have if it struck at the organisation’s financial base on this continent. During the battle against the Nazis, Churchill said: “We must be united, we must be undaunted, we must be inflexible.” As it confronts a global, state-backed terrorist network within reach of nuclear weapons, the world must heed that advice. The greatest single danger to global peace and security cannot be confronted with loopholes and half-measures. It is time for the EU – and all responsible nations – to respond meaningfully to the magnitude of the threat. The lives of many innocents hang in the balance. The Pakistani Christian girl who has been in police custody for more than three weeks after being accused of desecrating the Qur’an is to be released from prison after a judge granted her bail. Rimsha Masih, who is thought to be 14, has been at the centre of an international furore over Pakistan’s blasphemy laws. But in a bail hearing in an Islamabad courtroom on Friday her lawyers argued that she should be released, in large part because a mullah from her neighbourhood had been accused by colleagues of attempting to frame her on charges of burning sacred texts. They claim the cleric Hafiz Mohammed Khalid Chishti planted pages of the Qur’an in a bag of burned refuse that Masih had been seen carrying through her neighbourhood on 16 August. She lives in an impoverished near-slum on the outskirts of Islamabad where a minority community of Christians live. Lawyers representing the man who originally claimed to have caught Rimsha carrying what he thought were burned verses from Islam’s most holy book tried to block the bail. Rimsha’s legal team responded by saying they were using “hyper technical arguments” to try to challenge the paperwork of the bail hearing. The prosecution also attempted to undermine a medical board’s assessment that Rimsha was legally a minor and that she was “mentally slow”. Rimsha’s supporters have long claimed she has Down’s syndrome. A decision on whether she will have to stand trial will be made after officials have finished their investigation into an affair that has cast unprecedented light on Pakistan‘s notorious blasphemy laws, which have been widely abused over the years and can carry the death penalty or long jail terms. He said the organisation hoped the case would “lead to a considered re-examination of the law”. However, most analysts say reform, let alone repeal, of the decades-old law is highly unlikely as the country gears up for national elections. Diane, thank you for this post. I love it! 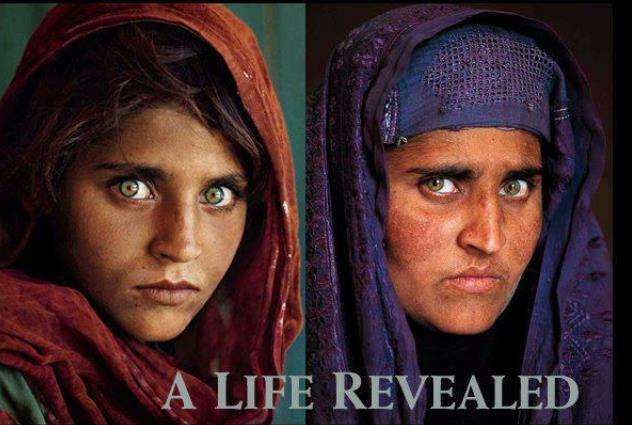 The photo of Sharbat Gula is one that a student painted (quite beautifully I might add) on a ceiling tile while in art at the high school where I work, so I see it regularly. Her eyes are so captivating, so full of an untold story. I hope this is not terribly rude, but I noticed that the story got duplicated when posted, and wondered if you might be able to update it, as I wanted to link to your post in a future post of mine (one day a week I re-post from another writer on my blog). I think that your observance of the human experience outside of your own life’s experience to be so fabulously wise, and I think that your blog is fantastic! Thank you for letting me know Carole 🙂 as soon as I get back him I will fix it 🙂 have a wonderful day! Ignorance is not bliss…..as some people tend to think. We quite often have to have things to remind us of how life in other less fortunate countries. An excellent post Diane.